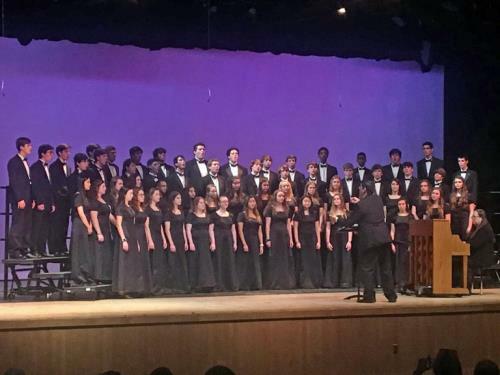 The 64-member Baylor Concert Choir received the top score in the High School Concert Choir category and the highest score of any ensemble performing in any category at the OrlandoFest adjudicated musical festival. The festival was the culmination of the group's annual Spring Tour, which included stops for masterclasses at the University of Georgia, First United Methodist Church in Valdosta, Ga., and the University of Florida. The students were able to squeeze in a trip to Universal Studios and led in the Sunday worship service at Northlake Presbyterian Church before heading back to campus. According to Baylor's Director of Choral Music Vic Oakes, the annual tour is an opportunity for members to represent Baylor beyond the campus, provides affirmation and critique outside of the Baylor family, and allows students to visit college campuses where choral singing may be a part of their college experience regardless of what major they may choose. 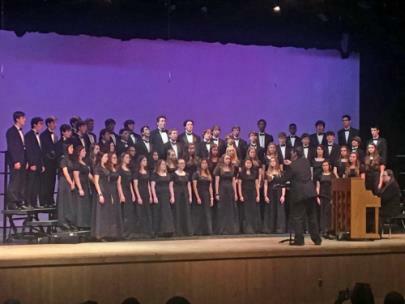 "The members of our choir demonstrated magnanimitas far beyond the concert stage," said Mr. Oakes. "While acknowledging our students' considerable musical talents, several of our clinicians also commented on how responsive they were to suggestions and critique – 'a sign of certain maturity and a desire to know more,' according to one college professor." The Concert Choir also performed at the J. B. Lyle Choral Festival at the Center for Creative Arts in Chattanooga on March 15 and received a rating of "superior," the highest score given at the event, from all three performance judges. One judge complimented the group, "Outstanding work and a very musical performance of strong literature." In addition, the choir received the top score in sight-reading, where they performed rhythmic and harmonic musical excerpts at sight with just a brief study period. The Concert Choir will present its annual spring concert in Alumni Chapel on May 13.